Our best-selling tartan has red, green and blue with accents of white, yellow and black. It features red leather, red canvas lining and solid brass hardware. This striking tartan has yellow, green and light and burnt oranges. Features natural leather, black lining and solid brass hardware. This tartan pattern has a handsome cobalt blue and forest green and subtle accents of red and white. Features black leather, navy canvas lining and solid brass hard-ware. 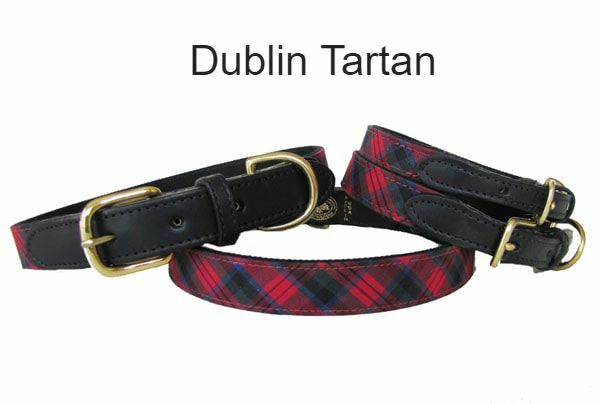 This tartan pattern is a combination of red, forest green and black with a spiffy accent of royal blue. Features black leather, black canvas lining and solid brass hardware. 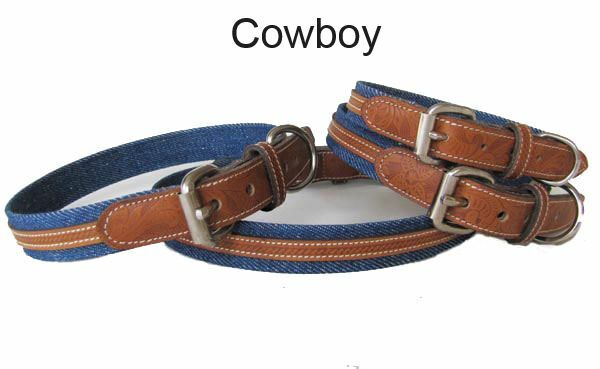 No other collar comes close to these. We use PayPal to process all payments . Please be sure to check our sizing specifications before ordering - each manufacturer is unique.